Former First Lady of Colorado Dottie Lamm is a legendary leader and activist. She served as Colorado’s first lady for 12 years when she emerged as a leading advocate for women’s health, quality child care, and gender equality. She was also a founding mother of The Women’s Foundation of Colorado, making her mark as the first board chair. 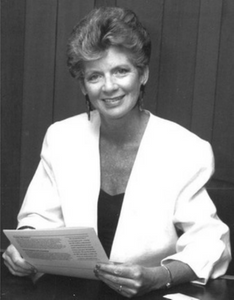 In 1987, The Foundation created the Dottie Lamm Award to honor her commitment to advancing and accelerating opportunities for women and their families throughout the state of Colorado, by recognizing women and their resilience on the path to economic security. The first Dottie Lamm Award was granted in 1988 and has been awarded annually since. Meet Athena Clemens, our 2018 Dottie Lamm Award winner. Applications for the 2019 Dottie Lamm Award will open in June 2019. Sign up for our eNewsletter to be the first to know when applications open. For 10 years, WFCO's Girls' Leadership Council fostered future community leaders and philanthropists. Though the Girls' Leadership Council program ended in 2017, its 147 alumnae will be a part WFCO’s community forever and we commit to bringing youths’ voices into our work and elevating the unique needs and strengths of diverse young women in our state through the Dottie Lamm Leadership Award, internships, fellowships, and the work of our grantees. 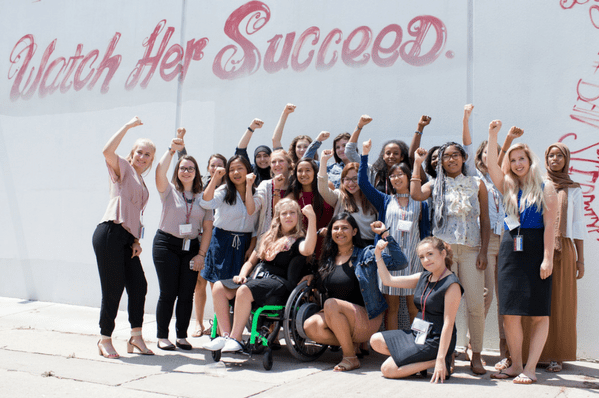 Our staff has curated a list of organizations that provide leadership, mentoring, afterschool, and summer programs for high-school age girls. We encourage contacting them to learn more.